When life is difficult and nothing seems to be going your way, just turn it over to the One who can handle anything and everything. God has a plan for your life and wants the best for you at all times. When you feel down or at the end of your rope, let go and let God take control. God will never let you down… and you have nothing to lose but the problems and fears you are clinging to! He has created us to be dependent on Him. We were never intended to do it all on our own! Guiding our path and helping us when we are down is how God shows us His love. It is not a failure to be unable to be self-sufficient but a reminder of our need to reconnect with the Divine! How do you do this? Stop trying to do it on your own. Pray. Let go. Wait and watch the miracles. This reinforces our faith and reassures us of His eternal Love for us and for all of His Creation! 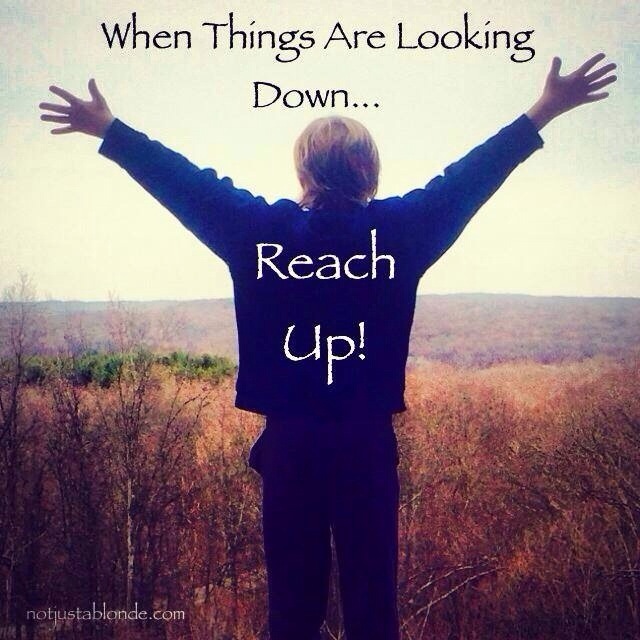 Reach up and let God show you how dearly and desperately you are loved! Amen. Sometimes you find that something you are trying to do seems impossible, but when you ask God to help you, somehow it works out.